In the Roman Republic of Ancient Rome, what was the highest ranking? What happened on December 7, 1941? What was the turning point of the American Revolution? What was the name of Tutankhamun's wife? Sparta and Athens were two important states of Ancient _____. When did Vasco da Gama reach India? What is the name of the culture that is native to Australia? Who was the only US president to serve more than 2 terms? Wow!! 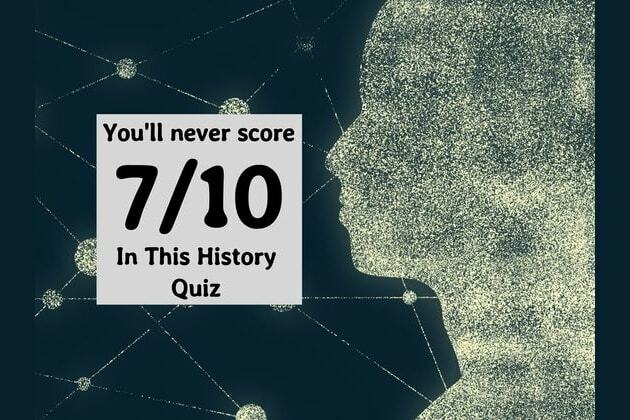 Only 2 in 50 people can get more than 5/10, and you got a PERFECT score!! You must be highly intelligent, well-read, and sophisticated. You question assumptions and have a superior memory. Keep it up, and SHARE your amazing score with everyone you know. Wow!! Only 2 in 50 people can get more than 5/10, and you got 9/10!! You are cultured and well-informed. You don’t take blindly what you are told, and can discern truth from error regardless of the source. That is something! SHARE your amazing score with everyone you know. Wow!! Only 2 in 50 people can get more than 5/10, and you got 8/10!! You must have read a lot of books and newspapers in your life, because you have a whole lot of knowledge. You are highly educated, well-read, and incredibly knowledgeable. Keep it coming, and SHARE your amazing score with everyone you know.